Today, GuitarWorld.com presents the exclusive premiere of “Hungry But Happy,” a new song by Sugar Ray and The Bluetones. The track is from the band’s new album, Living Tear to Tear, which will be released August 19 through Severn Records. 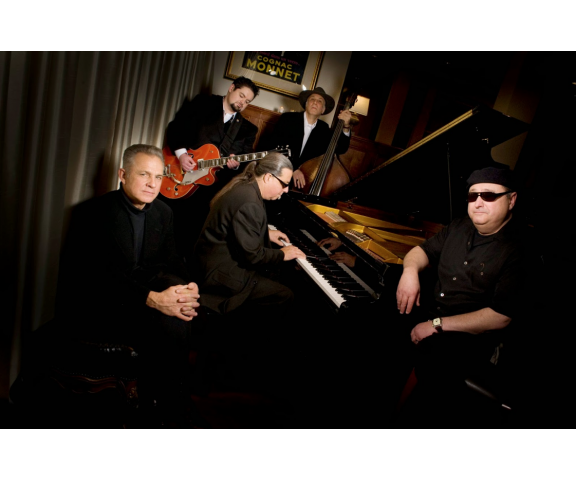 Besides Norcia, the band features Monster Mike Welch on guitar, bassist Mudcat Ward and pianist Anthony Geraci. “‘Hungry But Happy’ features my Gretsch G5420T, Barber B-Custom Cool Overdrive, Strymon Flint Reverb, Strymon El Capistan Delay and a modified Fender Pro Junior amp,” says Monster Mike Welch. For more about Welch’s gear, head here.